Flying Dog Brewing Company is launching a new Imperial India Pale Ale this week dubbed “The Truth” —something they feel is in short supply, given the problems they are facing with Anheuser-Busch InBev, the world’s largest brewing company, over potentially misleading packaging. 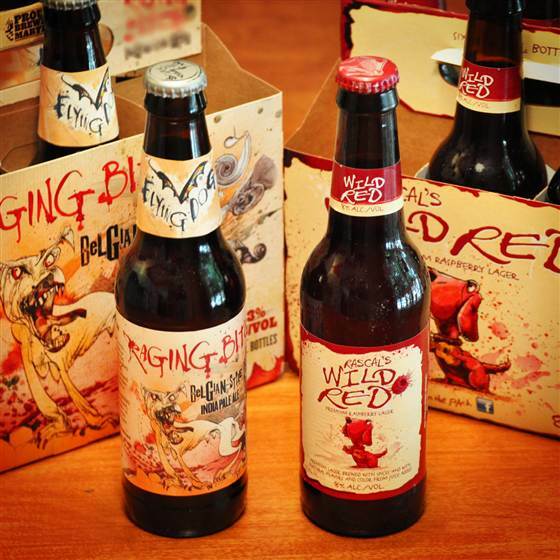 Flying Dog has perhaps the most iconic brand identity in the craft beer universe, featuring the splatterific art of legendary designer Ralph Steadman, best known for his surreal illustrations of Hunter S. Thompson’s articles and books. The collaboration between Steadman and Flying Dog began in 1995, and has generated a visual and verbal lexicon that is instantly identifiable to craft beer fans across the country. You see, the packaging design of a set of “crafty” looking beers created by mega-brewer A-B InBev has led to some consumer confusion at store shelves.